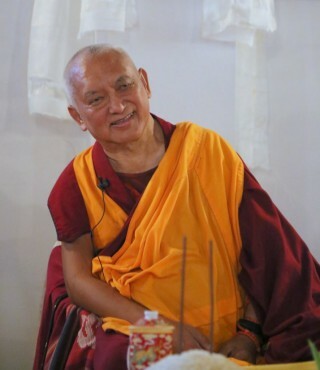 Lama Zopa Rinpoche, MAITRI Charitable Project, Bodhgaya, India, February 2015. Photo by Ven. Thubten Kunsang. Scribed by Ven. Roger Kunsang. Edited by Mandala for inclusion on FPMT.org.